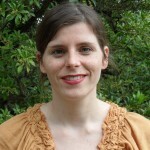 Clare Sullivan is the Deputy Research Director at the AgCenter. Her work focuses on assessing landscape level environmental change, geospatial modeling, and evaluating the potential of incentives programs to enhance ecosystem services and benefit local communities. This includes evaluating land use land cover change and developing indicators for monitoring environmental sustainability. She has also led the development of integrated soil health indicators for Vital Signs Africa. Through this work, which aims to assess synergies and tradeoffs among food production, poverty alleviation, and the environment in agricultural landscapes, she has developed extensive skills in tools used for mapping and data systems. She has worked on projects with the National Park Service in the US, the CGIAR system in the Peruvian Andes and Amazon Basin, and with UNEP in Haiti. She has a Masters in International Affairs from Columbia University’s School of International and Public Affairs, with a concentration in environmental science and policy. Assessing synergies and tradeoffs among goals for food production, poverty alleviation and environment in agricultural landscapes. Tully K., Sullivan C., Weil R., Sanchez, P. 2015. The State of Soil Degradation in Sub-Saharan Africa: Baselines, Trajectories, and Solutions. Sustainability 7 (6): 6523-6552. Palm C., Smukler S., Sullivan C., Mutuo P., Nyadzi G., Walsh M. 2010. Identifying potential synergies and trade-offs for meeting food security and climate change objectives in sub-Saharan Africa, PNAS 107 (46) 19627-19632. Sachs J., Remans R., Smukler S., Winowiecki L., Andelman S.J., Cassman K.G., Castle D., DeFries R., Denning G., Fanzo F., Jackson L.E., Leemans R., Lehmann J., Milder J.C., Naeem S., Nziguheba G., Palm C.A., Pingali P.L., Reganold J.P., Richter D.D., Scherr S.J., Sircely J., Sullivan C., Tomich T., Sanchez, P.A. 2010. Monitoring the world’s agriculture, Nature 466, 558–560. Remans R., Flynn D.F.B., DeClerck F., Diru W., Fanzo J., Gaynor K., Lambrecht I., Mudiope J., Mutuo, P.K.K, Nkhoma P., Siriri D., Sullivan C., Palm C.A. 2011. 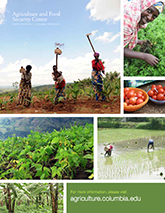 Assessing nutritional diversity of cropping systems in Africa, PLoS ONE 6(6).